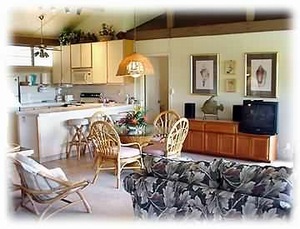 Our condo is one of the premier units at Maui's Haleakala Shores. This Maui condo is situated horizontally across the front of the top floor, offering a ocean/park view of the Maui coast from every room, "Hawaiian Sunsets are the Best" and if your lucky you might catch a whale or two. Amenities: All furniture is of very high quality. The Bedding is simply wonderful! One of the Islands best buy's. We are on Island owners, who care about you having a good time. We supply beach towels, chairs and mats plus all the household amenities. Always full of Aloha Sprit. Just bring your bathing suits . 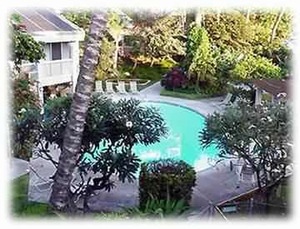 Come and enjoy your Maui Hawaii Vacation, You've eraned it! Activities: Walking distance to local markets resturants and shops. 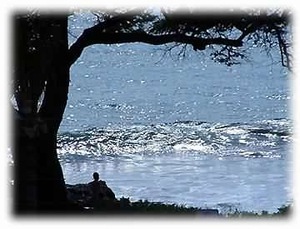 Hiking, Biking, Fishing, Wildlife Viewing, Horseback Riding, Golf, Tennis, Shopping, Swimming, Snorkeling & Diving, Water-skiing, Boating, Surfing, Exploring Natural Wonders of Maui. Area: World Class Views and Beaches Surround You. Prices may vary for Holiday periods Tax Add 11.4% to all rates. $95 Clean & Registration on monthly rentals. Price's are subject to change without notice. Deposit: 50% nonrefundable deposit due at time of booking. Cancellations and Refunds: 50% nonrefundable deposit due at booking balance is due 30 days prior to arrival. Other Fees: $95 Clean & Registration on monthly rentals and stays less than a week. Required Stay: Open by date availabilty.